Picnic in the Park 2018 ‘ was held at the iconic Prince Albert Gardens, Swanage to raise awareness of the ‘Swanage Area Dementia Friendly Community’, with an invitation ‘to have a go’ at being part of the ‘Swanage Community Drum Circle’ – open to all. Research suggests that musical leisure activities have a positive contribution for Dementia, Alzheimers and Memory Loss patients. 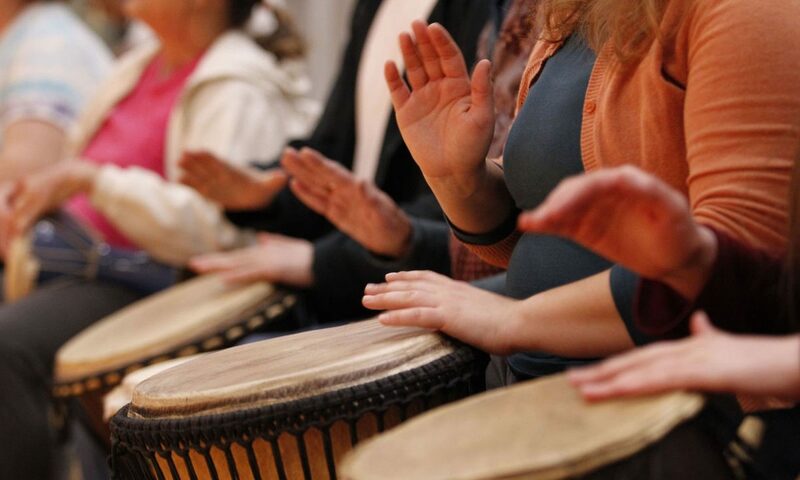 Drumming enables participants to connect non-verbally with others through improvisation, imagination and creative engagement. It enriches social interaction, strengthens relationships and enhances well-being. It is immersive, fun, playful and inclusive for all involved. Whether you are a carer, facilitator or patient, there are no wrong beats and it creates community. We are all music makers.